The Eye Sleeping Mask by Laneige moisturizes, revitalizes, and brightens skin around the eyes by taking care of puffy eyes in the morning with the ceramic ball massage.The ingredient of caffeine relieves puffy eyes in the morning while the moisture wrapping technology keeps tender skin around the eyes moisturized during sleep. The brightening effect makes skin around the eyes look bright and clear with the ingredient of vitamin P.
Explore the entire range of Eye Masks available on Nykaa. 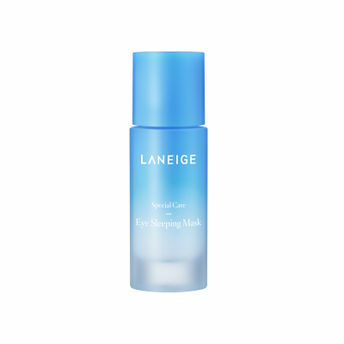 Shop more LANEIGE products here.You can browse through the complete world of LANEIGE Eye Masks .